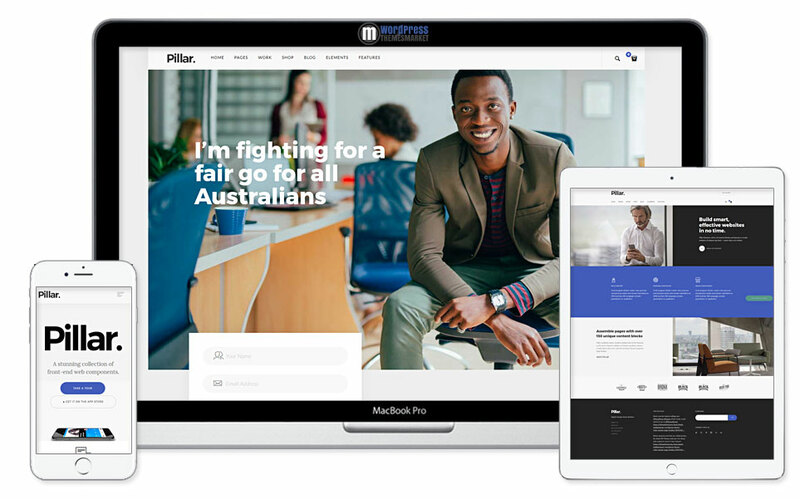 Pillar is an excellent, beautifully and carefully crafted, clean and minimalistict, responsive and smooth modern start-up Multipurpose Multi-Concept Responsive WordPress Theme that is perfectly suited for those who are looking for already pre-made professional demo multi-purpose layouts. A modern look is a perfect solution for various multi-purposed websites such as corporate, politician, service or case studies webs. This theme is packed with tons of features. You get 100+ ready to use demo pages, 150+ sections for multi-page or one-page websites, countless styling variations, 50+ theme options added, product layouts, 40+ advanced styling options, WPML ready and much much more.